This webinar on Tuesday, April 24, 2018, from 2-3 PM EDT, by Elizabeth Shaw, MS, RDN, CLT, CPT, is intended to serve as a resource for RDNs who are unfamiliar with reproductive nutrition recommendations and are interested in guiding patients with a nutrition plan that is conducive to conception. Define infertility and its prevalence. Evaluate the latest research surrounding nutrition and infertility. Discuss specific conditions that may lead to infertility. Identify the basic tenants of a diet conducive to conception, highlighting differences amongst genders and specific disease state recommendations. Summarize the RDN role in helping clients struggling with infertility. List resources for further education surrounding nutrition and fertility. 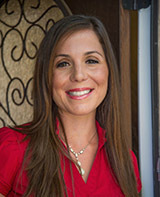 Elizabeth Ann Shaw, MS, RDN, CLT, CPT, is a nutrition communications consultant and runs a private practice specializing in fertility nutrition and women's health in San Diego, California. She's the recipe creator behind the popular blog ShawSimpleSwaps.com, founder of the BumpstoBaby.com support community, freelance writer for Shape, Fitness, and Oxygen Magazine, and co-author of The Fertility Fueling Cookbook (Hatherleigh Press 2017). Elizabeth Ann Shaw, MS, RDN, CLT, CPT, reports the following relevant disclosures: She serves as a consultant to Alliance for Food & Farming, Dave’s Killer Bread, and Halo Top Creamery. She has certified that no conflict of interest exists for this program. View our disclosure policy.